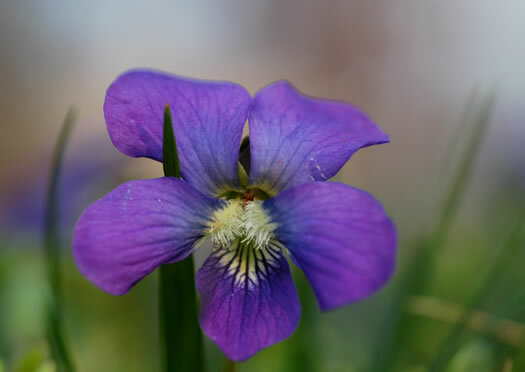 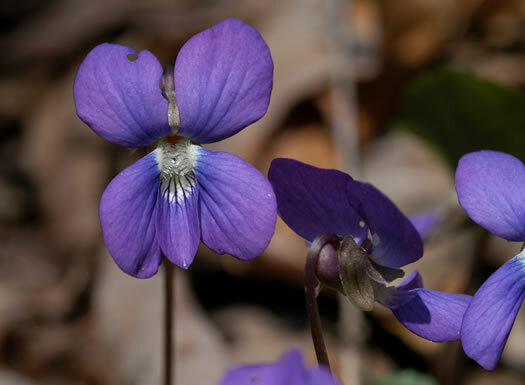 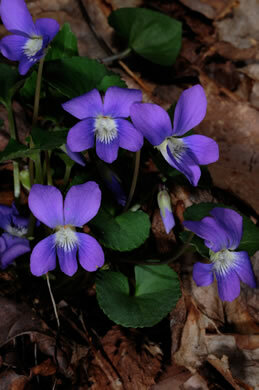 Blue-violet flowers bearded with tufts of hairs on the lateral petals, per Wildflowers of the Southern Mountains. 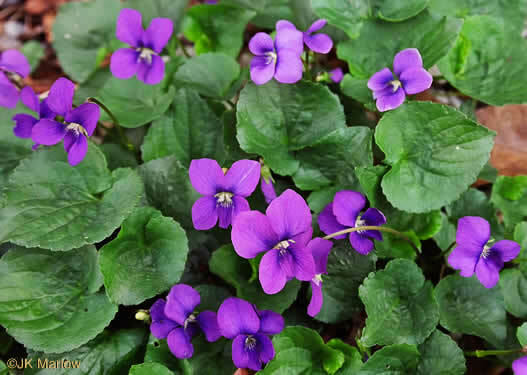 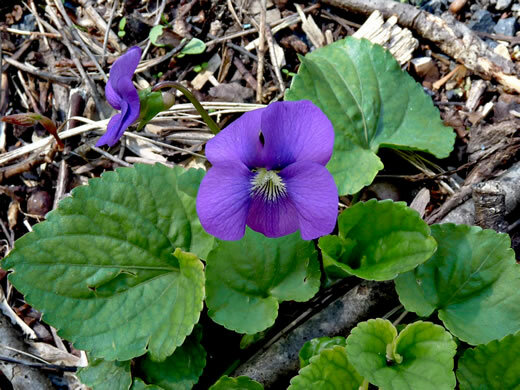 Included in this entity is the familiar Confederate Violet, var. 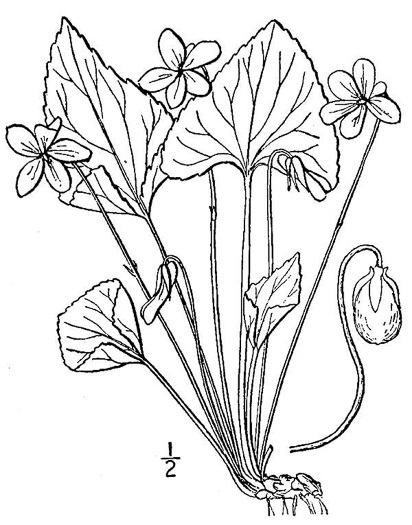 priceana, per Wildflowers of the Southern Mountains. 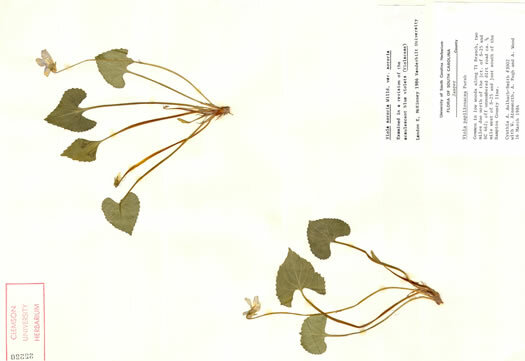 About V. palmata var. 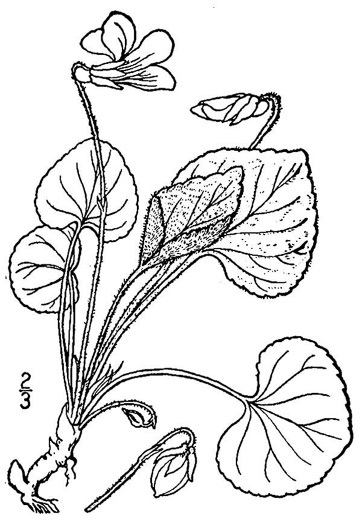 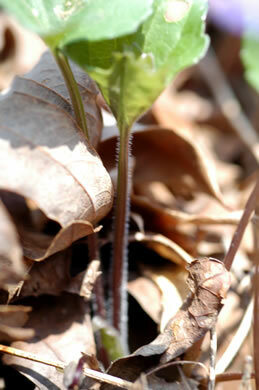 sororia, "Pubescent or at least the petioles pubescent", per Vascular Flora of the Carolinas. 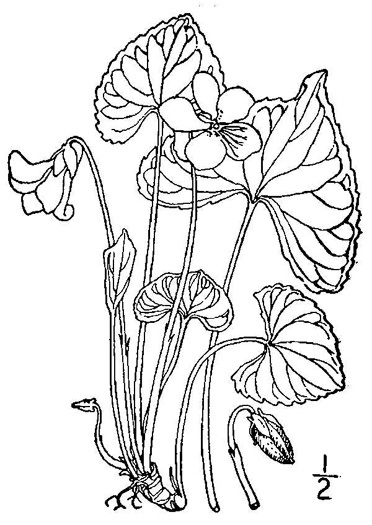 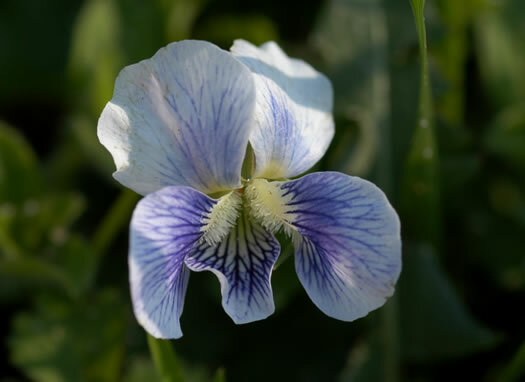 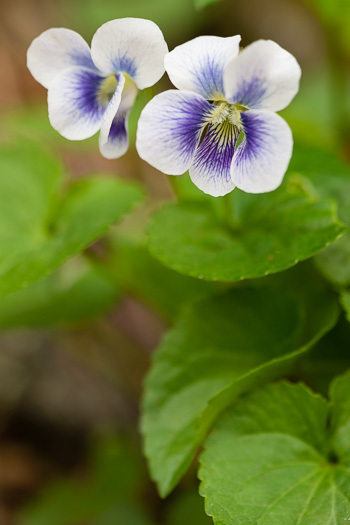 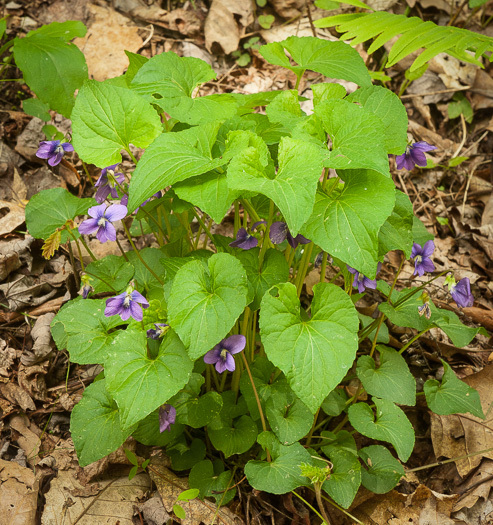 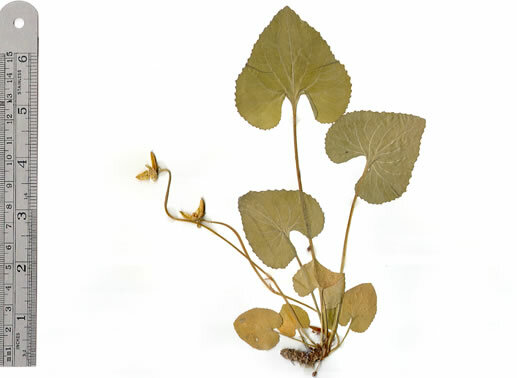 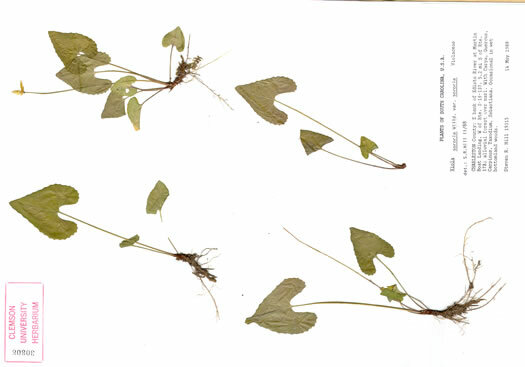 Leaves more or less ovate or broadly heart-shaped, on long stalks, per Wildflowers of Tennessee, the Ohio Valley, and the Southern Appalachians.